FiberLife is a soluble fiber capsule that allows you to easily add fiber to your diet. We eat less high-fiber foods, mainly because more people are turning to processed and/or fast food options. Lifestyles has developed a revolutionary, patented blend of soluble fiber that can help replenish the shortage of fiber intake. 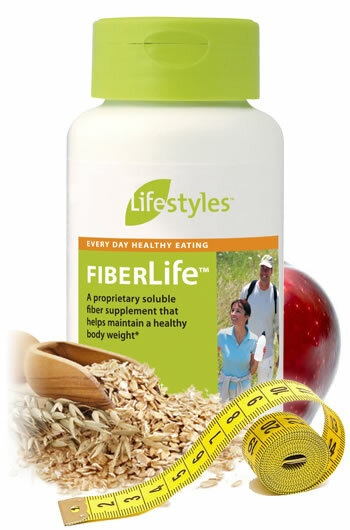 FiberLife provides your daily fiber source while helping to maintain digestive function. Each capsule contains 500mg of concentrated, natural source of soluble capsules, such as Glucomannan. When ingested with sufficient amounts of water, FibreLife forms a gel-like complex of natural fibres. This complex slows the digestion of food and creates a feeling of fullness.